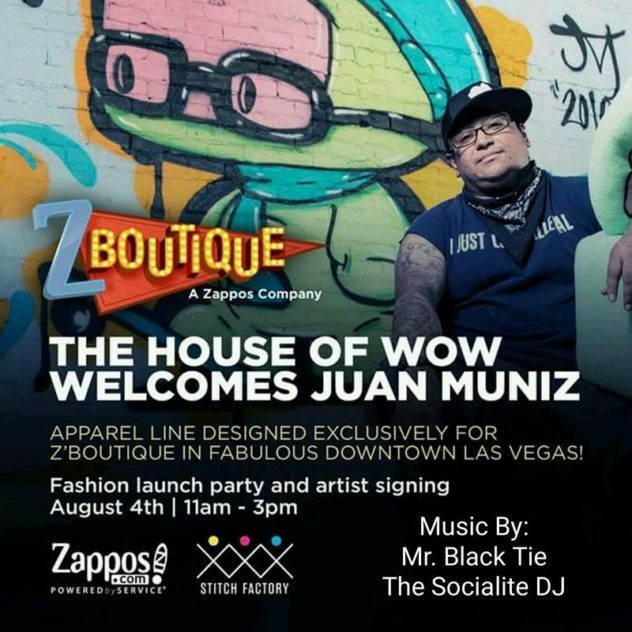 The very first day I met Juan Muniz was a week after I became the resident DJ for the Arts Factory Bar & Bistro. 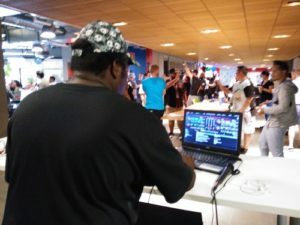 I t was also my first Friday DJing event as well. Juan Muniz introduced me to not just himself but his character Felipe. One thing about Juan Muniz, is he is an artists who is focused. Which I have met countless of them) that had or do have the talent, but no motivation, no path, no focused point. But Juan had, and still has the same path that he’s been on. Focused point on his art work, and character Felipe. Funny we kept bumping into each other, throughout the years. First Fridays I’d see him at his booth. Doing his Felipe book. 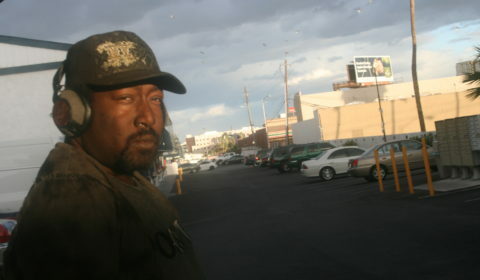 While myself DJing First Friday on other gigs. 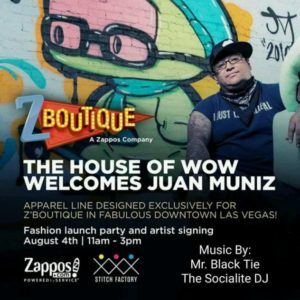 Once in a while you wonder and think and ask, “Am I really making progress?” Well Juan Muniz did something unusual for artists and had a great grand opening of Felipe at the Z Boutique at Zappos. It was incredible seeing what had happened for him. The coolest part, I have to say was DJing for him. 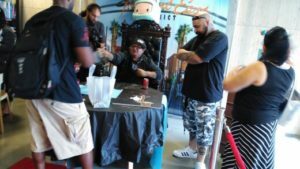 Juan Muniz is focused on his path. I’m proud to have known him before all the Felipe crazed. LOL. We will see each other once more! Until then.